In every card, on every page, in every word, in every picture the Australian wildflowers will speak to you--soul to soul. This card set is alive and the messages are clear, healing, joyful and honest. The unique artwork of 44 cards is created by Cheralyn Darcey by linocut with traditional gouache paints. 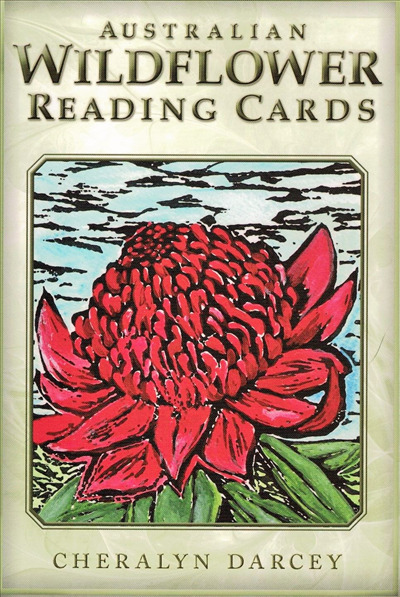 The guidebook features flower spreads for readings and a special card of the day instructions that will delight those who love beautiful oracle tools and traditional artwork.